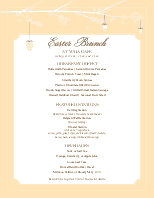 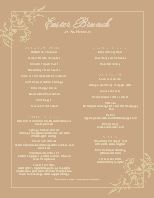 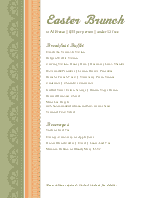 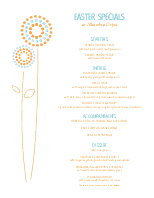 This best Easter brunch menu features a light brown and yellow page decorated with floral images. 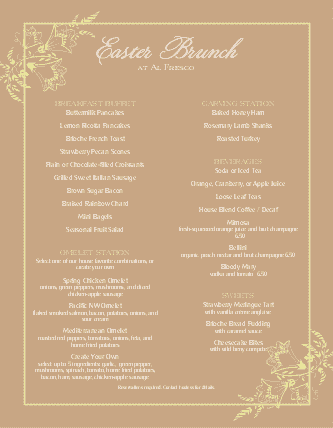 Two columns list spring brunch options. 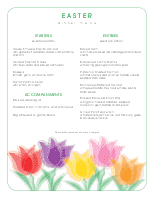 A light yellow border runs around the page. 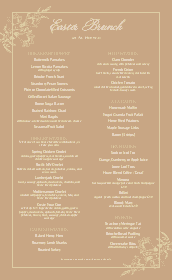 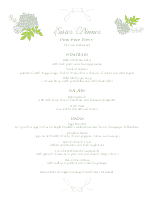 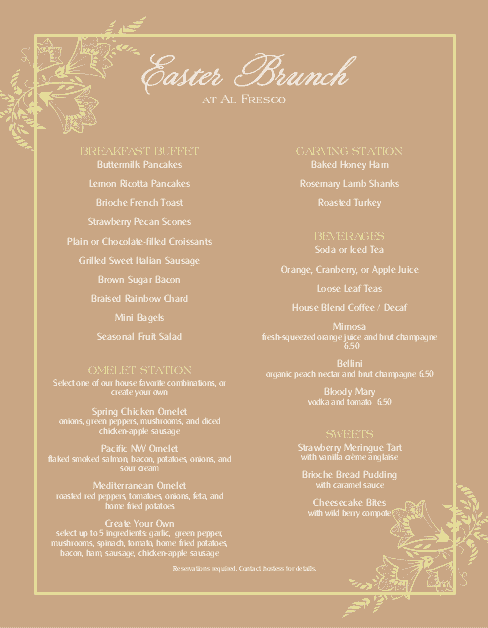 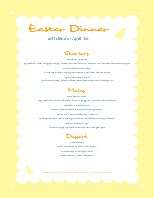 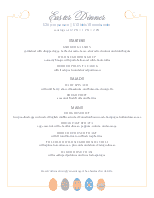 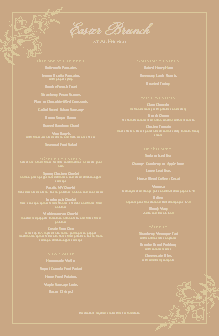 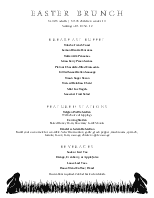 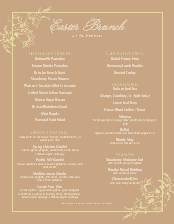 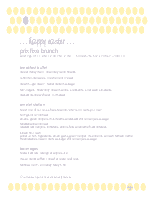 This Easter menu can be updated online using the Menu Editor.